8.5" x 11" finished size. 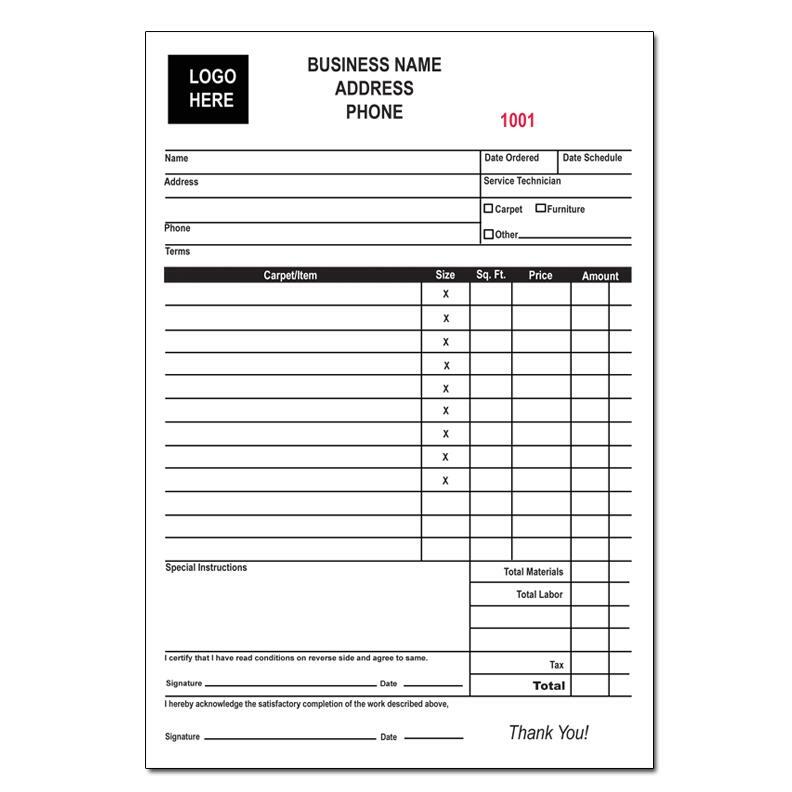 with a customized form. 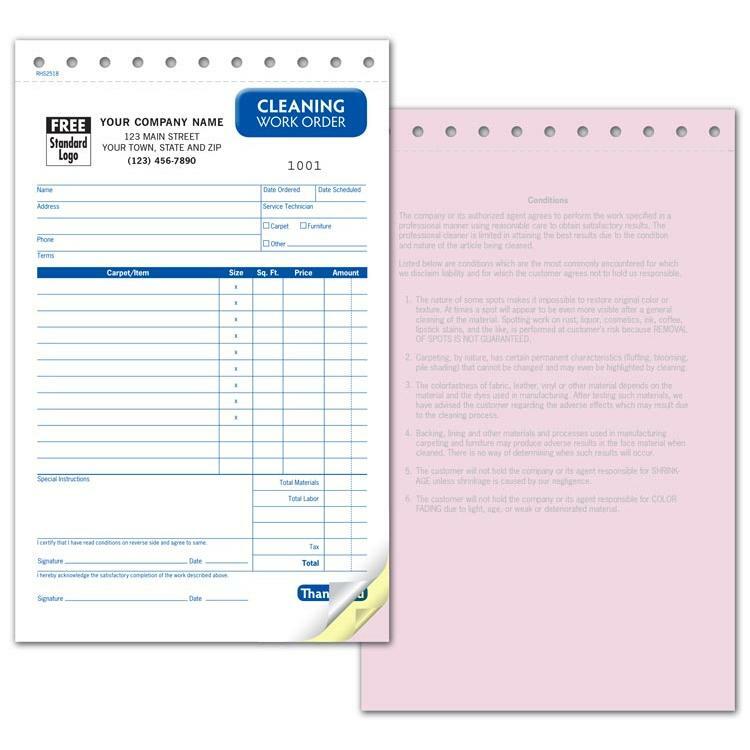 add your logo, company name, address, phone etc. 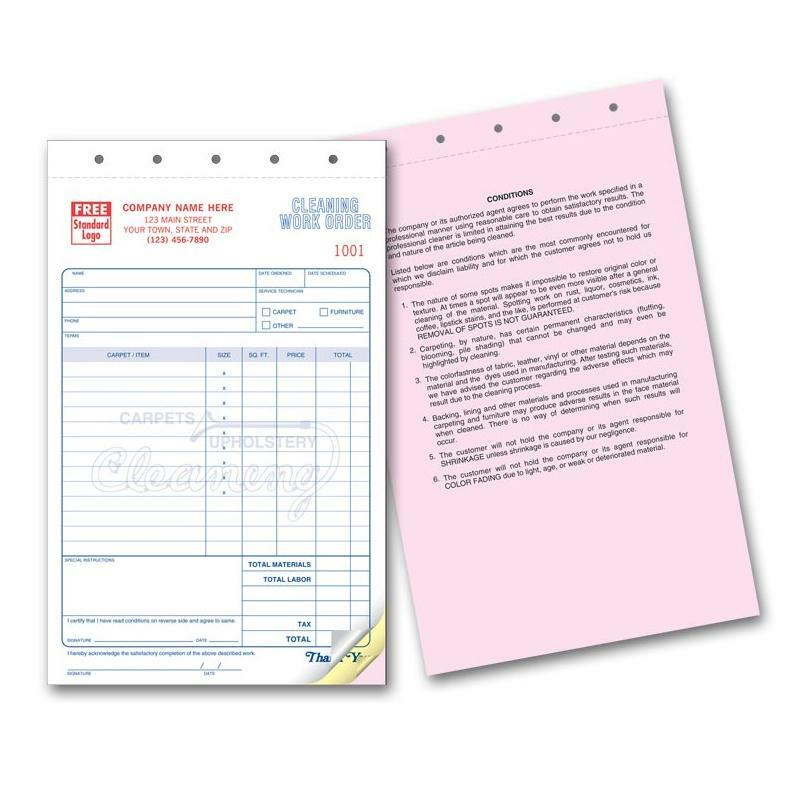 It's made from carbonless paper and has the options of 2, 3, and 4 parts. 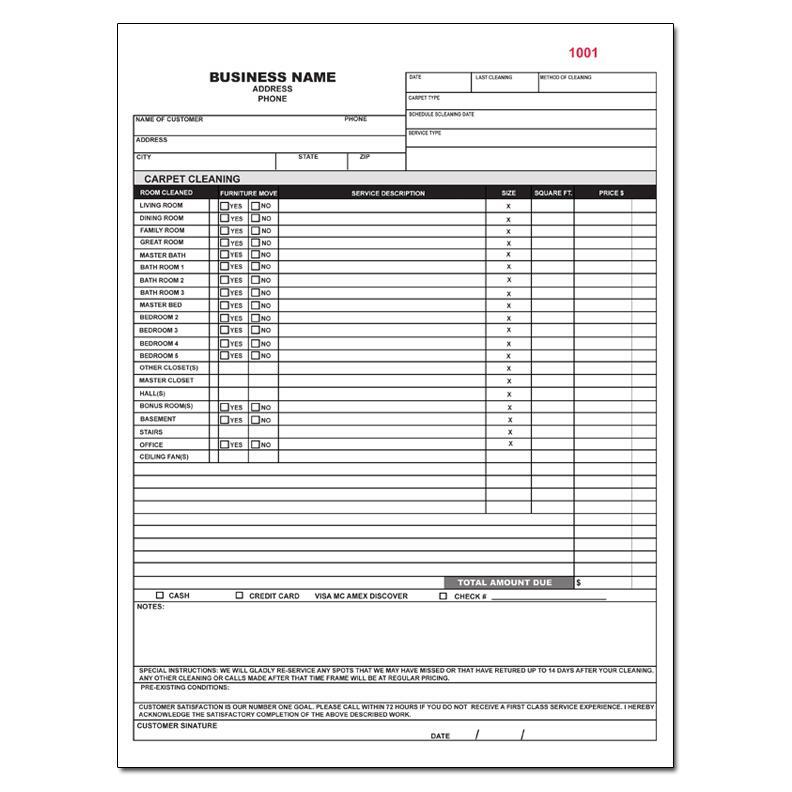 Numbering is also available with your starting number. Glued at the edge with other options for perforation, book, wrap around back etc.